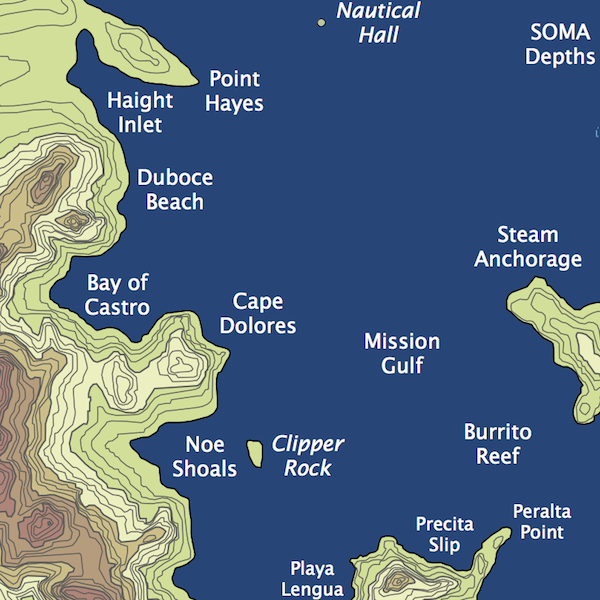 The NCCS (Northern California Coast Survey) has updated their baseline topographic map of the San Francisco Archipelago. 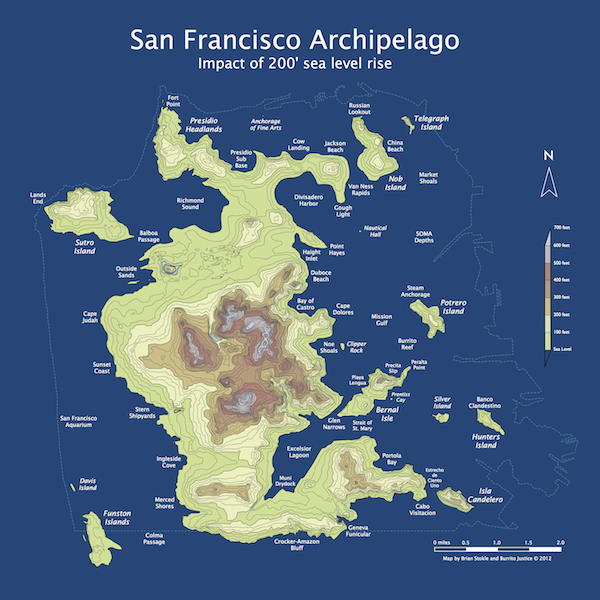 It reflects the new coastline resulting from the unexpectedly rapid disintegration of the East Antarctic ice sheet and sea levels finally hitting the 200′ mark (compared to the 2012 datum). All these prints are also available in a pseudo three-dimensional stretched canvas print. Given their role in maintaining emergency transportation during Meltwater Pulse 3A, it was surprising that taco boats were ever restricted. Thankfully a liberalized permit system is expected to be in place by the end of hurricane season. 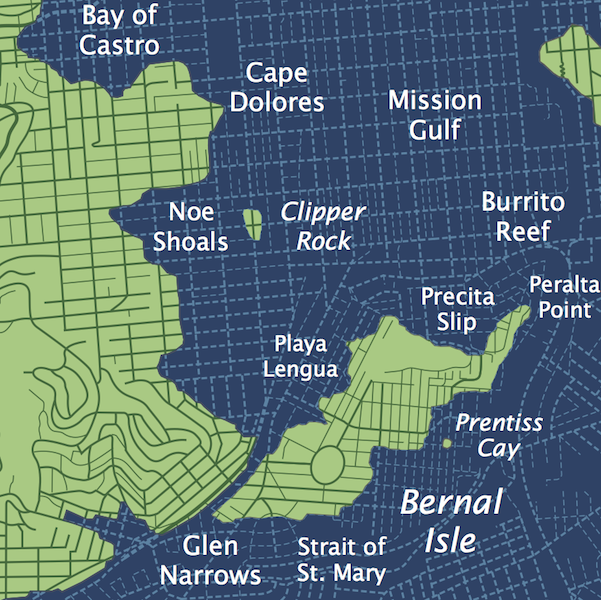 More information about day to day life in the San Francisco Archipelago is available in the March 2072 issue of The Rise of Sea Levels & Burritos. 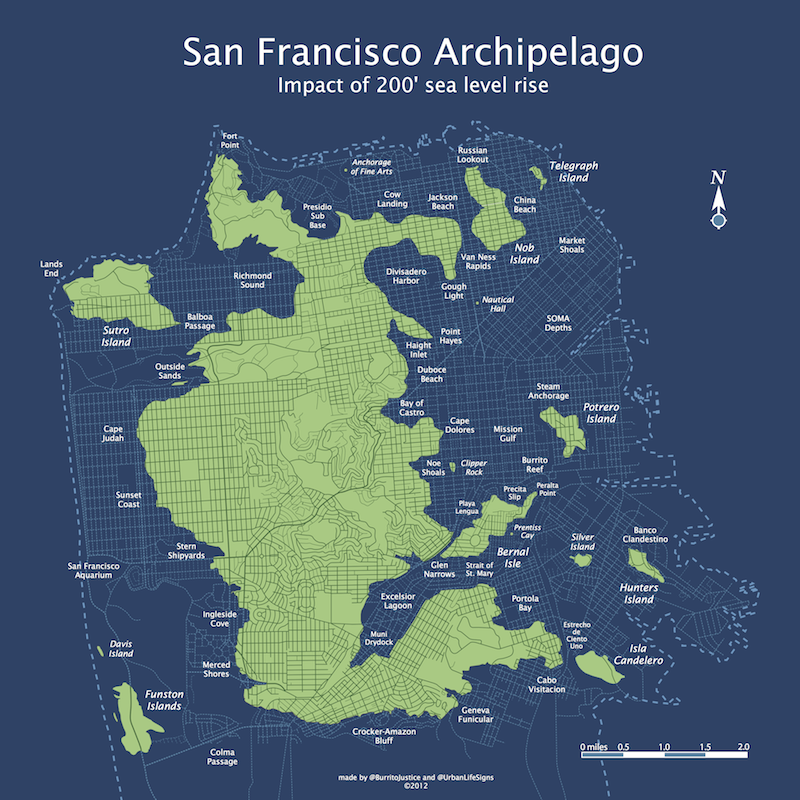 Any chance I can have permission to use this ab fab map on a flyer for a (free) talk I’m giving in San Mateo on sea level rise next month? Thanks for letting me know! Steam Anchorage is my favorite! (A reference to the Anchor Steam Brewery on De Haro and Mariposa I assume?) Sneaky!